Jupiter moves into Sagittarius: 7 Tips! On November 8 – Jupiter re-enters Sagittarius, the sign Jupiter rules! It's now Jupiter’s turn to illuminate, inspire, uplift and enlighten us for the next 12 months. 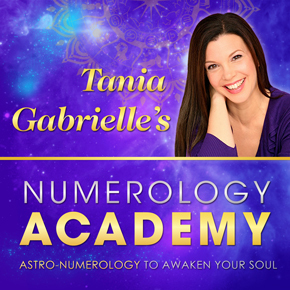 With Jupiter in Sagittarius, no longer will pure knowledge be enough…. WISDOM – the courage to integrate and ACT on knowledge – will be a key theme moving forward. Jupiter symbolizes the expansion of your higher mind – Divine Intelligence… higher learning and wisdom, embracing all perspectives while not getting bogged down by trivial matters and dogma. Jupiter also rules publishing, teaching, communication, foreign cultures and the legal system. Optimism, Abundance and Expansion are keywords when Jupiter makes a big impact, as it will over the next year! On the other hand, since Jupiter and Sagittarius are also aligned with religion and philosophy, you may encounter people who are moreself-righteous or become more “preachy” about their beliefs. Justice and Jupiter go together, so you’ll see a universal call to be transparent and in total integrity. Authenticity and positivity are your guides. What it all comes down to, especially as we move through the final two months of this 11 Universal Year, is to activate your INTERNAL power to change the world by monitoring your internal chatter. Are YOU driving your internal narrative? Or are you enabling outside forces – media, people, society – to interfere with your Divine intelligence? Are you trusting your inner compass? Jupiter’s role is to uplift, inform and inspire. It does this by redirecting your attention on your big overall vision, expanding your mind so you see the BIG picture – beyond the dogma. Accessing your higher mind begins with waking up every morning by giving GRATITUDE for all the gifts in your life! KNOW everything is in order and all is good. TRUST in the goodness and perfection of Universal Law. SEND Blessings to everyone you know – and for all of humanity! INITIATE positive plans for the future. BE OPEN to all good things in life. Jupiter is about feeling AWESOME! Jupiter will bring as many as you wish for! First you need to put a stop to the many distractions in your life – thoughts, conversations, mindless lower vibrational activities that continue to keep you from nurturing your Divine mission. Utter devotion to what uplifts your Soul is your ticket to enlightenment. Recognize the distractions for what they are, and then form a fortress around your SOUL to keep you strong and grounded. 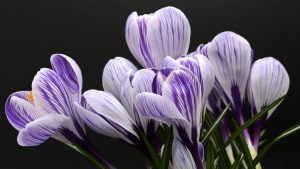 Trust in the GOOD NEWS coming your way – move towards the good news now – visualize your good news – feel it in PRESENT time – and know that you are ALWAYS totally supported. 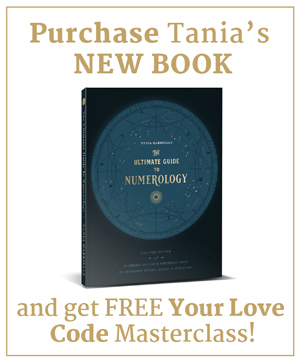 You can use your own Jupiter Wealth Code to guide you! Jupiter is the positive, happy, expansive, wise, fortunate, inspirational planet – making sure your Divine GIFTS are shared in the most expansive, impactful way. When you were born Jupiter was located in a specific house and specific sign in your astrology birth chart. 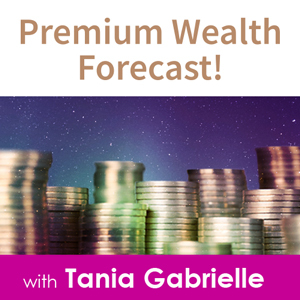 In fact… you have 3 Jupiter Wealth Zones. Each zone unveils how you are designed to attract abundance and experience Soul-level fulfillment. PS. When a planet first enters a new sign, like Jupiter is now, the energy is extra potent. New doors open and opportunities appear. 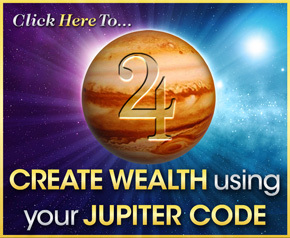 What a perfect time to discover the secrets revealed in your personal Jupiter Wealth Code! Click here to discover yours.